Description: Surebonder Staple Guns are great for home decor and repairs. Always wear safety glass and keep out of reach of children. Read all instructions before operating. 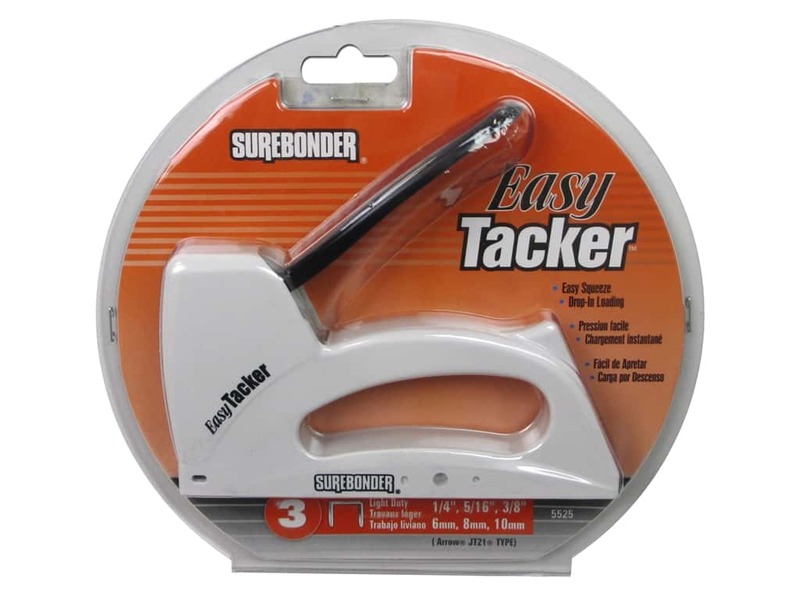 Light Duty Easy Tacker- An inexpensive light duty plastic staple gun. Easy squeeze trigger with drop-in loading of staples. Use Surebonder #3 light duty staples or Arrow JT21 staples. See more Surebonder Staple Gun.